You have many adoption options, and this is the perfect place to begin exploring them. Below, you’ll find Iowa adoption laws and policies and find adoption agencies and attorneys who work with families in Iowa. Each state maintains its own adoption policies, so the process can vary considerably for families in different states. As an Iowa resident, you’ll want to work with an adoption agency or adoption attorney who is very familiar with Iowa adoption laws and policies. Below, you’ll find adoption agencies and adoption lawyers offering services to Iowa families. 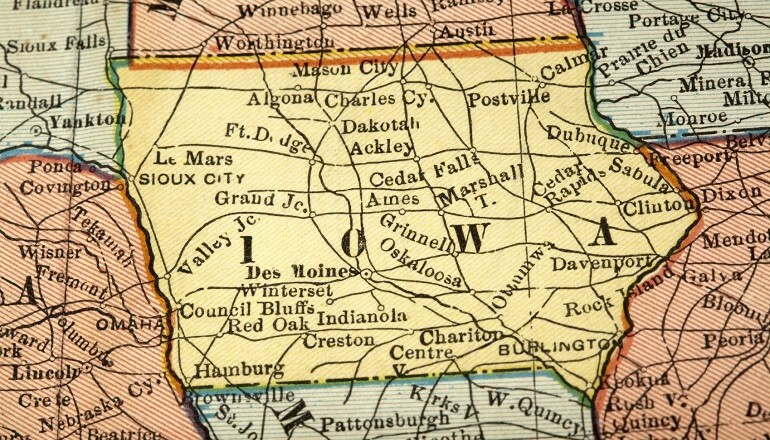 Scroll past the listings to learn all about the legal guidelines for families adopting in Iowa whether you’re adopting a newborn through domestic adoption, an infant or older child from U.S. foster care adoption, or a child through international adoption. Who Can Adopt in Iowa? A single or married couple jointly. A married individual without his or her spouse if the adopting spouse is the stepparent, separated from his or her spouse, or unable to consent to the adoption by reason of a prolonged or unexplained absence, incapacity, or circumstances constituting an unreasonable unwillingness to consent. What birth parent expenses may be paid, and in what time period? Pregnancy-related medical care, living expenses for the mother in an amount not to exceed the cost of room and board and transportation for medical purposes, and counseling. Living expenses, no longer than 30 days after birth. Counseling expenses, no longer than 60 days after birth. When can consent to adoption be granted? The Release of Custody can’t be signed less than 72 hours after birth. When does consent become irrevocable? If consent is revoked, is return to birth parent automatic? After signing, the birth parent has 96 hours to change his/her mind for any reason. If the birth parent wishes to object after the 96 hour period, he/she must appear at the final termination hearing and prove that signing was under duress, misrepresentation and/or fraud. If the consent is revoked within the 96 hour period, return automatic. If the birth parent objects after the 96 hour deadline, child could remain with the guardian/custodian until the Court determines whether parental rights are terminated. When will a U.S. birth certificate be issued? Determined by the Dept. of Public Health. Are adoption subsidies available? When do they start and how long do they last? Yes, adoption subsidies are available for a special needs child as defined by one of the following: 8 years or older if white, 2 years or older if of minority race, ethnic group, or multiracial parentage, member of a sibling group of 3 or more, medical needs that require special treatment, professional diagnosis or at risk of an impairing psychiatric, behavioral, or emotional condition. Child must be in the custody of the state of Iowa or a Iowa-licensed child-placing agency. Starts upon placement or finalization.